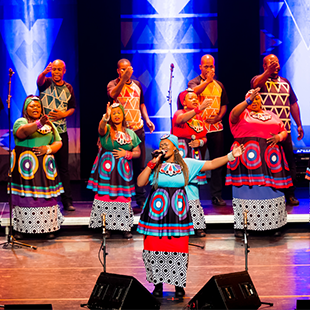 South Africa’s Soweto Gospel Choir returns to the Green Music Center for an infectiously joyful performance of spirituals and gospel tunes! Singing in many South African languages, as well as English, this Grammy® Award-winning choir performs to sold out crowds the world over. With soaring voices and rousing drumbeats, they are sure to have you dancing in your seat.